Mazda’s redesigned CX-9 goes on sale in June as — oddly — a 2016 model. It remains a midsize 3-row SUV, with prices starting at $32,420 in front-drive form, $34,220 with all-wheel drive. By our count, there are 18 midsize sport utilities on the market, plus a couple of larger compacts that could rightfully fill the bill. So why should anyone bother to consider such a peripheral player as the Mazda CX-9? Mazda’s current midsize-SUV offering stands as one of the oldest members of the segment, having been introduced during the G.W. Bush administration and seeing few updates since. But next month, an all-new CX-9 appears as a 2016 model boasting a number of improvements and a host of new features. Not that today’s version is any slouch. In fact, we tested one last year and found it to be surprisingly enjoyable, many of its “old school” elements actually drawing some praise. Where it fell short, however, was in fuel economy and available high-tech features, notably of a safety nature. And “safety” is a big watchword these days, particularly for family focused vehicles like midsize SUVs. So the CX-9 had some catching up to do. The CX-9 trades its former 273-horsepower 3.7-liter V6 for a 227-horsepower 2.5-liter turbocharged four cylinder, which is down on horsepower but puts out significantly more torque. EPA figures improve by 4-6 mpg. The redesigned CX-9 is about the same size as the outgoing model (leaning toward the long end of the midsize class) and continues with 3-row seating to accommodate up to 7 passengers. 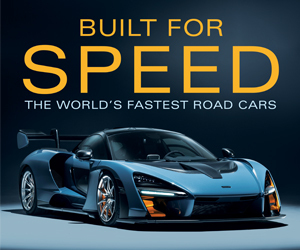 However – in part to answer fuel-economy concerns – it goes from having one of the largest engines in the class (a 3.7-liter V6 with 273 horsepower) to one of the smallest: a 2.5-liter turbocharged four rated at 227 horsepower on 87 octane fuel, 250 on 93 octane premium. Continuing is a 6-speed automatic transmission, though it has been updated for better efficiency. All models are offered with front-wheel drive or all-wheel drive except the top one, which comes standard with all-wheel drive. 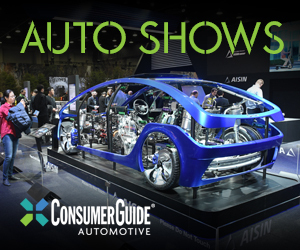 Speaking of models, Mazda’s traditional Sport, Touring, and Grand Touring trim levels return, but are joined by the new line-topping Signature. The Sport starts at $32,420 (including $900 destination) in front-drive form, $34,220 with all-wheel drive. It comes quite well equipped with all the expected features, plus 18-inch alloy wheels, 3-zone automatic climate control, Bluetooth hands-free cell-phone link, 7-inch screen, voice recognition, Pandora capability, text messaging, rearview camera, and 9-1-1 notification. An optional $950 Sport Package brings a power driver seat with lumbar adjustment, heated cloth front seats, and heated outside mirrors. Two-tone interiors are offered, and the top-line Signature (shown) features rich Nappa leather upholstery and Rosewood trim. Expected to be the most popular model is the Touring ($36,870 with front-wheel drive/$38,670 with all-wheel drive). It adds such items as heated mirrors, a power liftgate, auto-dimming inside mirror, Homelink universal garage-door opener, leather upholstery, heated front seats, power driver seat with lumbar adjustment, keyless access and starting, an 8-inch screen, two rear-seat USB charging ports, blind-spot alert, and rear cross-traffic alert. Optional is the $1745 Touring Premium Package with Bose premium audio system, automatic on/off headlights, fog lights, navigation system, power sunroof, rear obstacle detection, rain-sensing wipers, 2nd-row window sunshades, low-speed forward collision warning and mitigation, and satellite radio. Next up – and likely next most popular – is the Grand Touring at $41,070 in front-drive form, $42,870 with all-wheel drive. 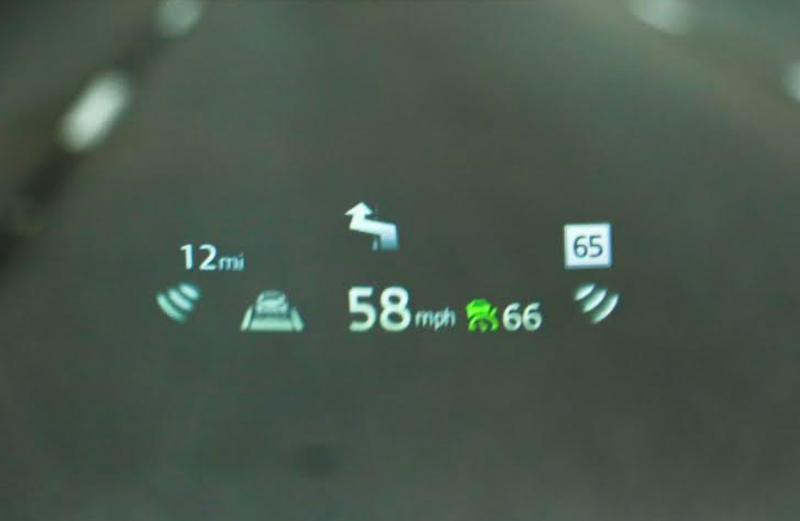 It adds 20-inch alloy wheels, adaptive headlights (which turn side-to-side with the front wheels), fog lights, power sunroof, rain-sensing wipers, head-up instrument display (which projects speed, navigation turns, and other info onto the bottom of the windshield in the driver’s line of sight), navigation system, power driver seat with memory, 2nd-row window sunshades, satellite radio, full-speed forward collision warning and mitigation, automatic high beams, lane-keep assist, adaptive cruise control, and rear obstacle detection. What’s mostly added in the all-wheel-drive-only $44,915 Signature are dress-up items, including Nappa leather upholstery, LED front accent lighting, leather-covered steering wheel with unique stitching, and Rosewood interior trim. This fully loaded model is the one we were provided for testing. CX-9 adopts the same control setup as other Mazdas, with console knobs making adjustments that appear on a dashtop screen. One of the biggest question marks of the new model has to do with the powertrain: primarily the substitution of a 2.5-liter turbo 4-cylinder for the punchy 3.7-liter V6 of the previous generation. (Which, by the way, marks the end of V6 engines for Mazda.) From the standpoint of fuel economy, it appears the intended improvements were indeed made. EPA figures put front-drive versions at 22 city/28 highway/25 combined, with all-wheel driving taking those down to 21/27/23. Compared to the outgoing CX-9, those are better by 4-6 mpg, a remarkable improvement. And our preview drive bore that out. While more accurate figures will come from testing in our local Chicagoland environs, our vehicle’s trip computer had us averaging 21.1 mpg after 202 miles of mostly twisty mountain driving and suburban-type stints, with some highway miles; this compares to the rather sobering 15.2 mpg we averaged in a 2015 tester in 65 percent city driving. But the real question concerns power delivery. One of the strengths (in more ways than one) of the previous CX-9 was its torquey V6, which gave the vehicle strong off-the-line punch and good passing power. In the current quest for better fuel economy, many vehicles are dropping V6s in favor of thriftier turbocharged fours. While the latter often make similar horsepower and sometimes even better torque figures on paper (as is the case with the CX-9), they don’t quite measure up in real-world driving. Most of that is due to a lack of power before the turbo boost kicks in, which sometimes doesn’t arrive in a linear fashion. In the case of the CX-9, it seems very little was sacrificed to the transition. Turbo lag is almost non-existent, and the engine pulls strongly and smoothly up through the rev range, feeling very much like a larger-displacement V6 — not surprising, as peak torque has been increased from 270 lb. ft. to 310. It also makes nice noises doing so, emitting a relatively rich, muted whine under full throttle – at least for a four cylinder. When underway, the transmission does its part during passing maneuvers by kicking down fairly quickly for more power. In normal driving it’s not noticed, but there is one place the CX-9’s powertrain seems to fall down a bit. Floor the throttle from a stop, and there’s about a half-second delay before anything happens. It doesn’t feel like turbo lag; it’s almost as though the transmission was planning to start out in second gear, and then – when it discovered you wanted to hurry – took a moment to drop down to first before allowing a takeoff. But that’s really the only dynamic flaw we noticed. Though our San Francisco test venue wasn’t riddled with the kind of pockmarked streets that surround our Chicagoland office, we did hit some big enough bumps to determine that the suspension is fairly compliant – even on the 20-inch wheels fitted to our test Signature model, which likely impart a ride penalty compared to the 18s that come on the Sport and Touring. Handling seemed plenty competent enough in the miles of twisties we covered, making for a ride/handling combination that impressed for its balance. One other comment based on our drive. Mentioned before was the appealing engine note under acceleration (otherwise, it was hardly heard at all), but joining that was what seemed like very minimal wind and road noise. 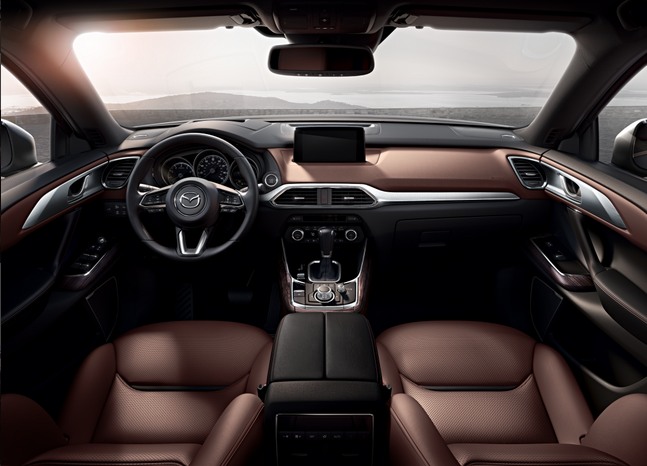 Taken all together, “The driving experience” is one strong reason to consider the new CX-9. New to the CX-9 is an available head-up display (HUD), which projects speed, navigation directions, and other information onto the lower part of the windshield in the driver’s line of sight. But there are others. Inside, higher-line models, at least (we were only shown Grand Touring and Signature on the press trip) can be fitted some rather impressive interior furnishings. These include rich leather, two-tone color combination of black/brown or black/red, Rosewood and aluminum trim, and plenty of chrome accents. Some of the knobs (such as the large center-console one that controls screen functions) have a machined or knurled look, which adds a classy touch. Headroom and legroom are fine in the first two rows, though really tall drivers might wish for more legroom. The 2nd-row seats slide fore and aft about 5 inches to balance legroom with the 3rd-row seats. The 2nd-row seats slide far forward to allow fairly decent access to the 3rd row, where my 5’9 frame managed to fit, albeit in a knees-up posture – though that’s about par for the midsize-SUV course. Pull-up 2nd-row window shades are optional on Touring, standard on Grand Touring. While it looks suitably “techy,” we’ve never been big fans of Mazda’s corporate-wide control setup. Audio volume is adjusted by a small knob on the console (or by steering-wheel controls), with a larger knob next to it controlling most other audio/navigation/phone functions in conjunction with a dashtop screen. 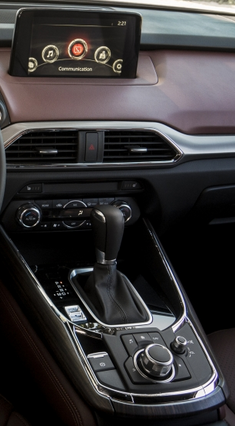 We sometimes find our arm accidentally ends up resting on one knob or the other, making adjustments we didn’t intent to make, and even some rather simple procedures take more steps than with a more conventional (call it “old fashioned” if you like) arrangement – which is what the previous CX-9 had. In terms of climate settings, temperature is adjusted with two rotary knobs (nice), but mode and fan speed are left to repetitive-step pushbuttons (less so). The cargo area is very wide at the rear, and there’s a good amount of storage space under the floor; all but the Sport have a power liftgate. Volume is sizable, and the 2nd- and 3rd-row seat backs fold level with the load floor, making the CX-9 competitive from a cargo standpoint. But the CX-9 does suffer a few shortcomings, though not all will be of importance to every buyer. 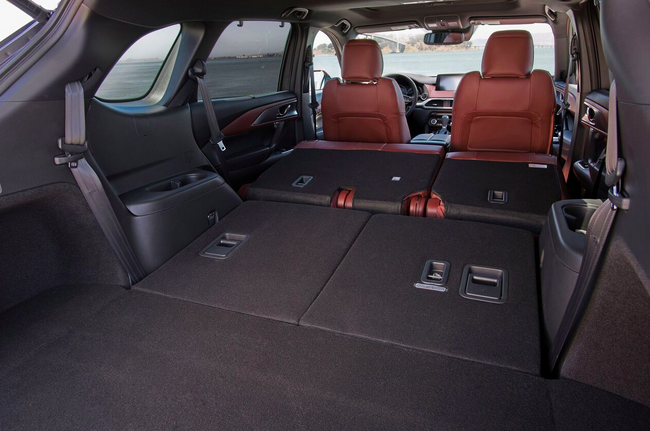 Folding the 2nd- and 3rd-row seat backs leaves a large, flat-floor cargo area. Visibility is a bit restricted to the front corners and sides by moderately thick roof pillars, while those in back – which are usually the biggest offenders – are thinner than many. Cabin storage seems a little lacking for a family oriented vehicle, as there’s just a small glovebox, medium-size “bomb-door lid” console box with Aux and two USB jacks (all but the Sport add two USB charging jacks for rear seaters), a handy forward console cubby, and the usual map pockets in the doors. Also, the only up-front 12-volt plug is rather inconveniently located on the passenger-side wall of the console. And finally, even the Signature model is missing some now-expected luxury features, including ventilated front seats, heated steering wheel, heated rear seats, and Apple CarPlay/Android Auto (though those last two may be coming later). And like a growing number of new cars, no model offers a CD player. While some competitors may offer the aforementioned missing high-end features and a few more besides, they tend – at comparable trim levels – to cost a bit more than the CX-9. That gives the Mazda a strong value argument, one that’s bolstered by satisfying on-road behavior, good fuel economy, fine passenger and cargo room, and a nice-looking interior. And that’s plenty of reason to place the new CX-9 on your shopping list. 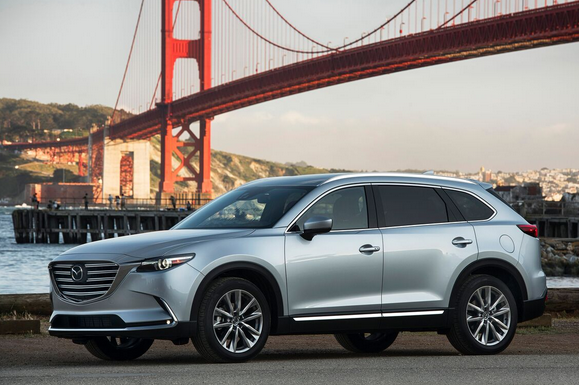 Long a peripheral player in the midsize-SUV game, the new CX-9 is now ready for prime time. Written by: Rick Cotta on May 23, 2016.on March 22, 2019.